According to the seller, a man living in the United States decided to buy a new car for his brother, who was living in Poland. This is that car. The brother took a train to the factory, drove the car home and never drove it again. (Yes, there are plenty of "Just how bad was the drive home?" jokes you can insert here.) The 82 recorded miles are from that initial drive. 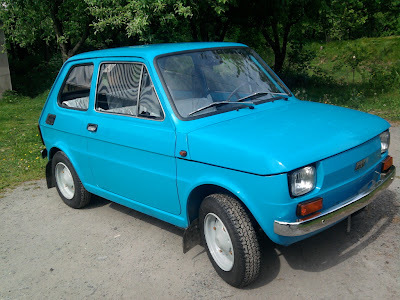 The Polski Fiat 126p was an incredibly popular car in Poland and throughout Eastern Europe. Built in Poland under license from Fiat, FSM (the Polish manufacturer) built over 3 million between 1973 and 2000. (That's almost 3 times as many as Fiat - who discontinued it in 1993 - built of the 126. ) 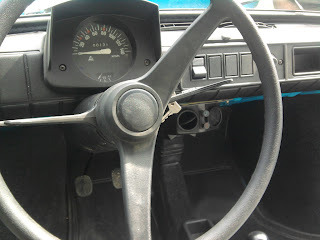 The car was improved over the years and by the time FSM stopped producing it, it was as modern as a 27 year old car could be, with an improved engine, stronger body structure, improved trim and even a catalytic converter. This car is remarkable to look at. Most 126ps were driven to death. I doubt there is another one in the world in this shape. The body is clean. The interior is cleaner. 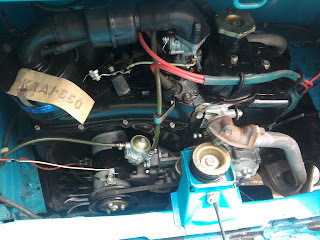 The original stickers are still on the engine. 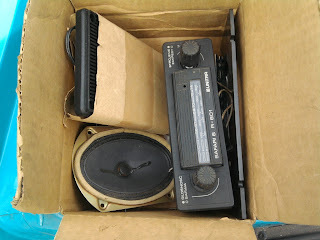 The (optional) radio is still in the box. (Side view mirrors were apparently option, too. This car doesn't have any, but does have plugs in the space it should be.) Only the tires have been replaced. When all is said and done, this car will cost you over $20,000.00. 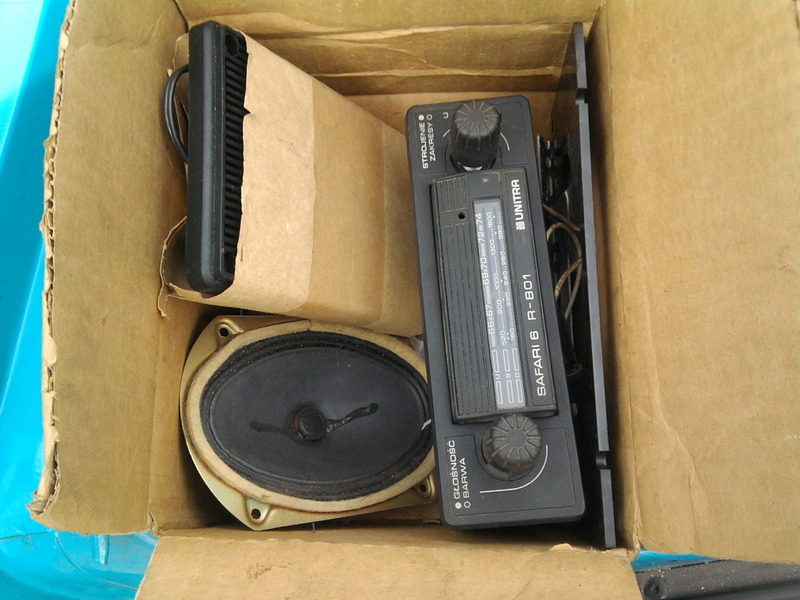 ($18,000.00 for the car, $2000.00+ for shipping and miscellaneous fees.) There are a lot of very cool cars you can buy for $20,000.00. This however, is most likely the only 82 mile 1980 Polski Fiat 126p you can buy at any price. Located in Wieliczka, Małopolskie, Poland, click here to see the eBay listing. A big thanks to Blair for sending me the link to this car! All nice and good, but what makes the seller think he can ask more than ten times what he paid for this little thing 29 years ago? These 126s are plentiful in Europe and a complete restoration would cost less than the asking price. You could buy a Fiat 500 in "new" condition for less than the asking money. This 126 makes no sense at all. A few of these have been found in the USA and they are very tiny cars. Even smaller than the original Fiat 500 (which they replaced). However like any Fiat, I'm sure they are fun to drive. The price on this one is ridiculous. A car in this condition here would be worth probably $3-5k. 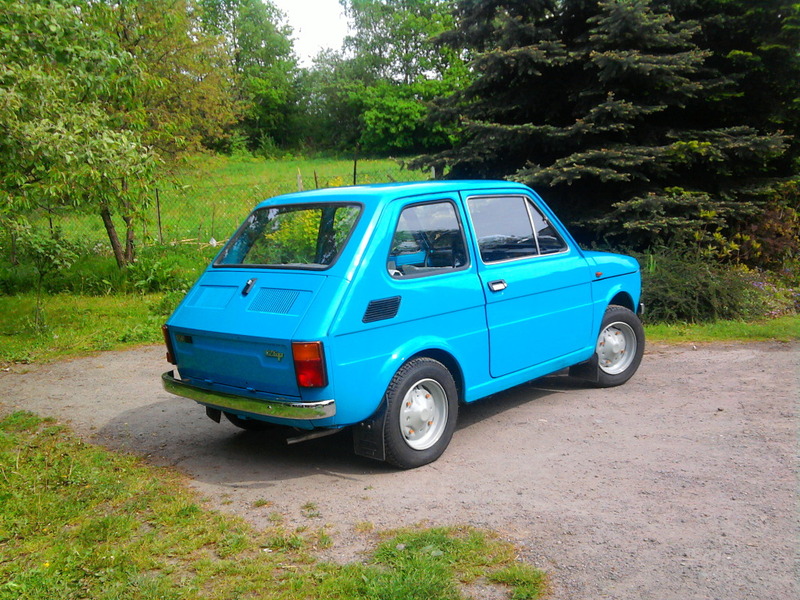 I might go berserk and pay that kind of money for a flawless Renault LeCar/5 with the killer sunroof, in orange, with no decals, a nice mechanic in the boot and, and, and... but this Fiat is just as cool for some other nutcase. once I stumbled upon it on eBay (believe me, I wasn't searching for a Polski Fiat!) I had to submit it in. 18 000 USD This one must be nuts! !